Delivered via an Internet-enabled device or experience, digital marketing enables marketers to connect directly with their audiences including prospects, customers, employees and other followers. 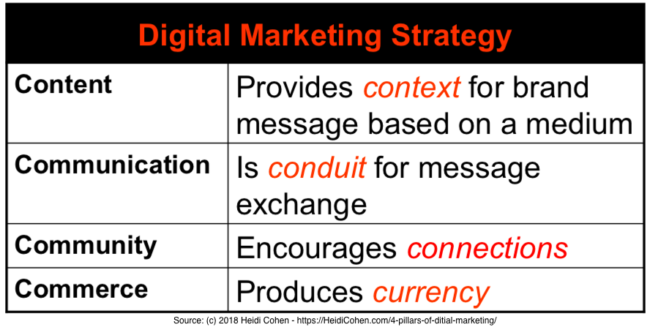 This interactive connection lays the basis for the four pillars of digital marketing and distinguishes it from non-digital marketing. Content: Gives context to brand message based on a medium. Communication: Is the channel for message exchange. Community: Provides connections with other customers and the public. As digital marketing evolves and grows, marketers discover new ways to expand and integrate it with offline, non-digital approaches known as integrated marketing. Additionally, some aspects of digital marketing have developed into specialized forms of marketing such as content marketing, social media, search, email and ecommerce. To adapt to current market needs astute marketers will use this top-level 4 pillars of digital marketing framework to provide quality content, build an audience housefile, develop a community of like-minded participants, and offer relevant products and services they need. 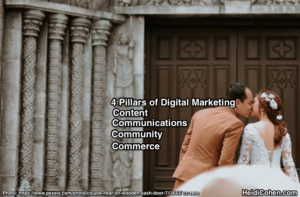 Here’s an explanation of the four pillars of digital marketing to provide a framework for your company’s plans. In a message-rich and stimulating environment, we have difficulty focusing. As a result we seek information free from marketing promotion and push to either meet our needs and wants or entertains us. Quality content fulfills this purpose. Even better, content marketing attracts a targeted audience and search robots while providing context for your marketing message. 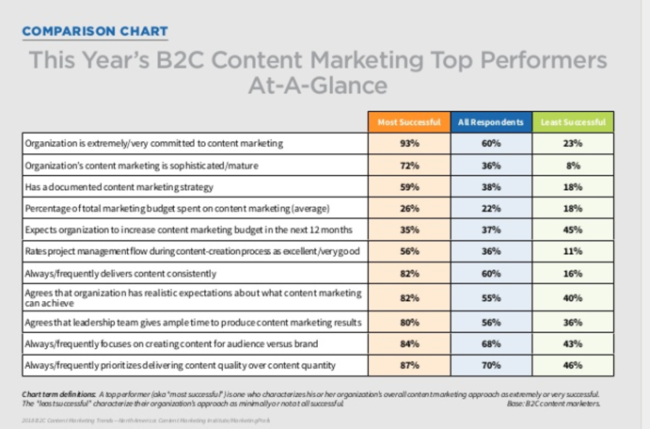 As a result, content marketing, as a core element of a digital marketing strategy, has increased importance. 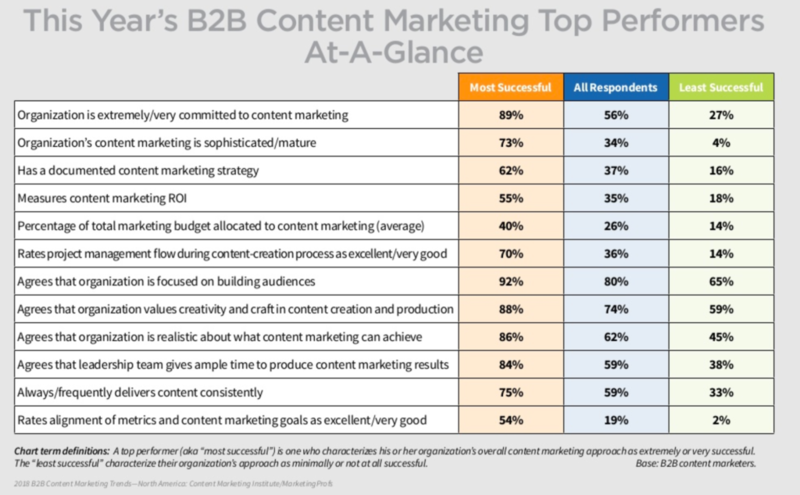 Roughly 3 out 5 B2B and B2C companies are very committed to content marketing, based on Content Marketing Institute/MarketingProfs research. 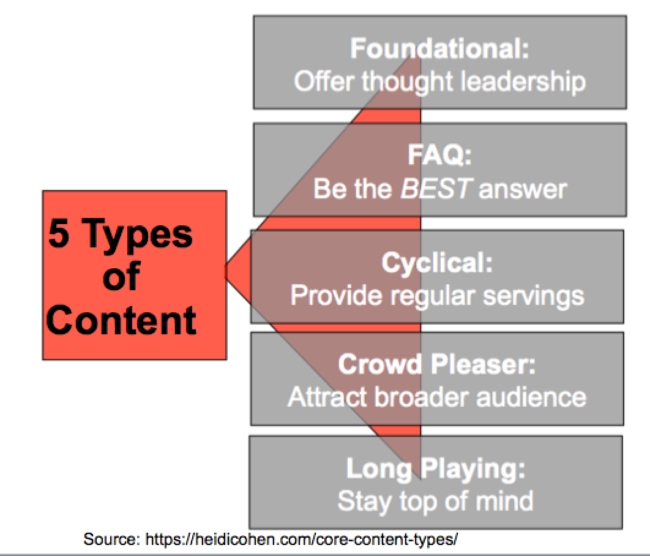 Most marketers need 5 core types of content: Foundational, FAQ, Cyclical, Crowd Pleaser and Long Playing. 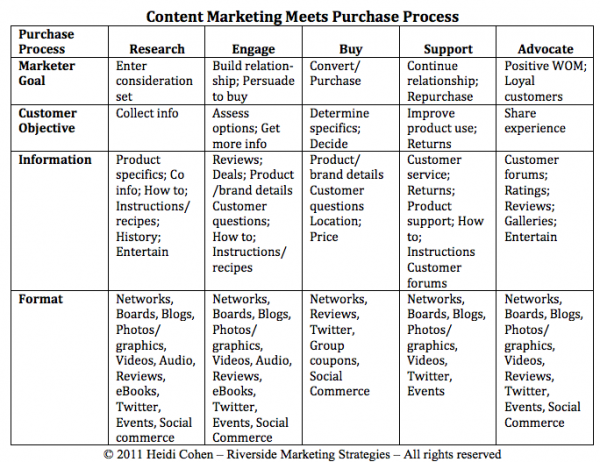 When creating content, transform it into multiple pieces of content marketing to reduce content creation efforts. Rebecca Lieb and Jason Miller refer to this as the “Thanksgiving Turkey Approach” to content since you reuse the content as you would make other turkey meals. 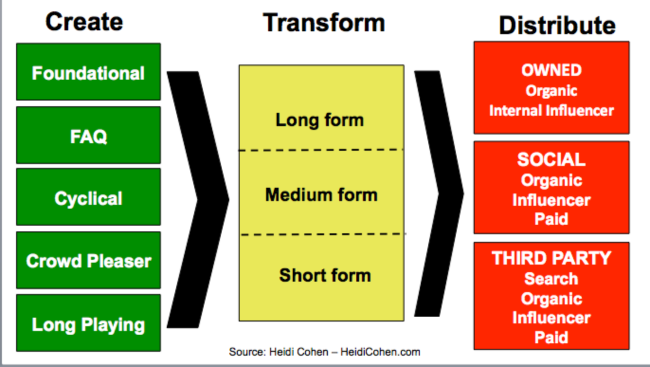 Specifically transform content into long form, medium form and short form versions to maximize reach and facilitate distribution. Digital content can be distributed using owned, social and third party media. From a marketing perspective, use a mix of options to get your content delivered to the most potential readers. This chart lays out the most popular options. Search deserves mention since it’s a specialized form of third party media. Its content is created by computer algorithms. 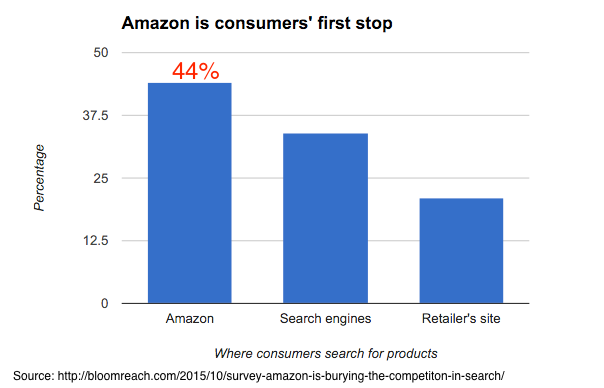 Beyond Google, it includes YouTube, the second biggest search engine, and voice search. 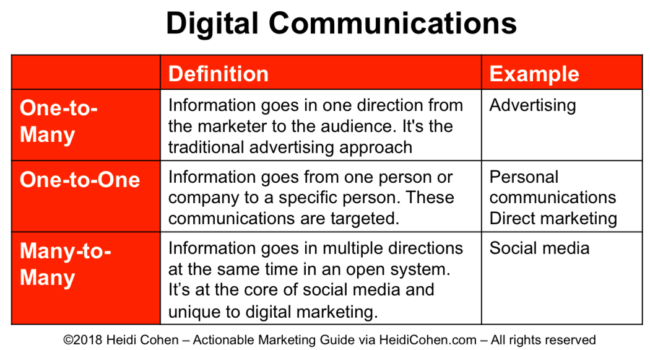 Communication is a core pillar of digital marketing. It provides a conduit for your message. One-to-Many Communications: Information goes in one direction from the marketer to the audience like traditional advertising. One-to-One Communications: Information goes from one person or company to a specific person. One-to-one communications are targeted. This is how we communicate with our friends, family and colleagues; it’s at the core of direct marketing. Many-to-Many Communications: Information goes in multiple directions at the same time in an open system. It’s people talking at the same time. 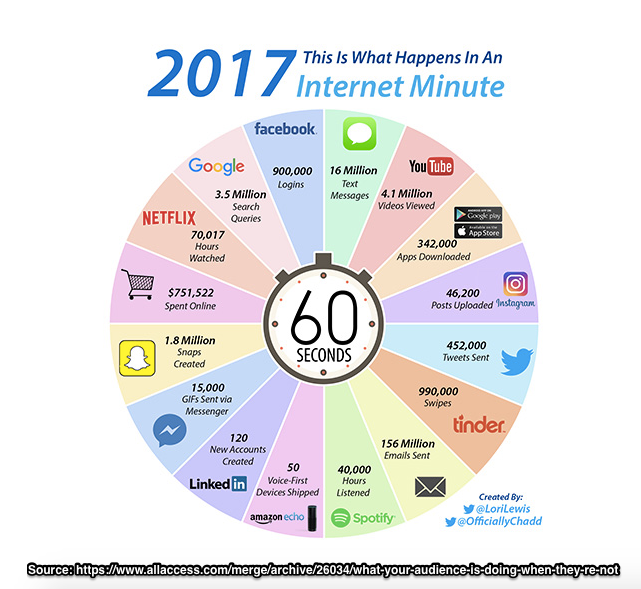 This type of communications is at the core of social media and is unique to digital marketing. Email. It’s digital marketing gold because it’s read all the time. Your email house file enables you to communicate with your audience because you have recipients’ permission. 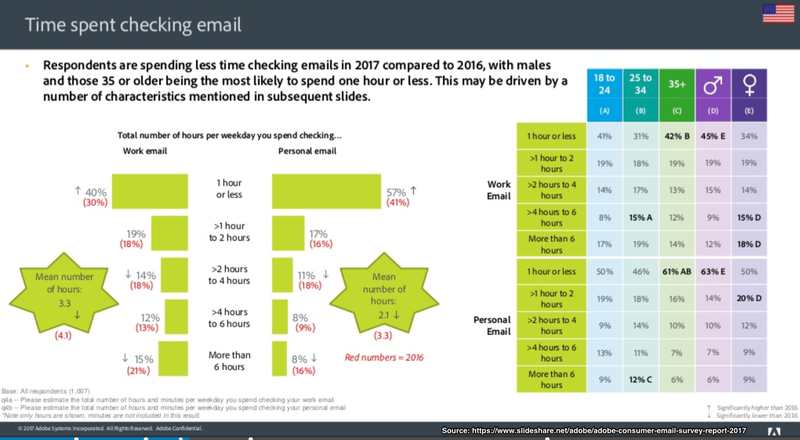 Instead of push promotions, send relationship building and behaviorally targeted emails. Messaging. Continues to grow and evolve for communications between friends and colleagues. They tend to vetted groups that live on social media or other platforms. Texting. Requires phone number and permission for marketers. It’s most useful for alerts. Social media. Provides public and private communications depending on the platform. Social sharing can be considered a way of communicating useful information to friends, colleagues and followers. Feeds. 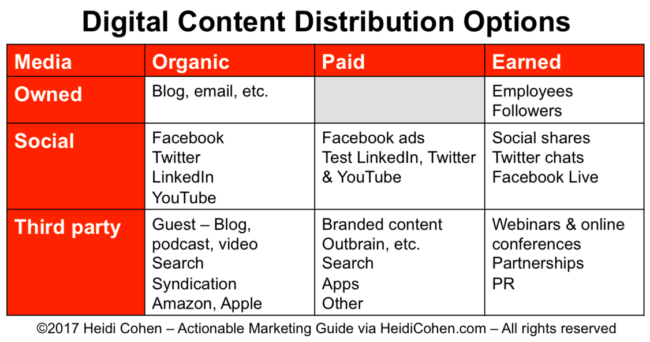 Still exist for content distribution but are used less. They’re mainly useful for blogs. Communities are at the heart of digital marketing. Through digital platforms like social media and connected devices, businesses have the ability to engage with their prospective audience to overcome objections and mitigate problems. For many businesses, social media provides the conduit for building communities. 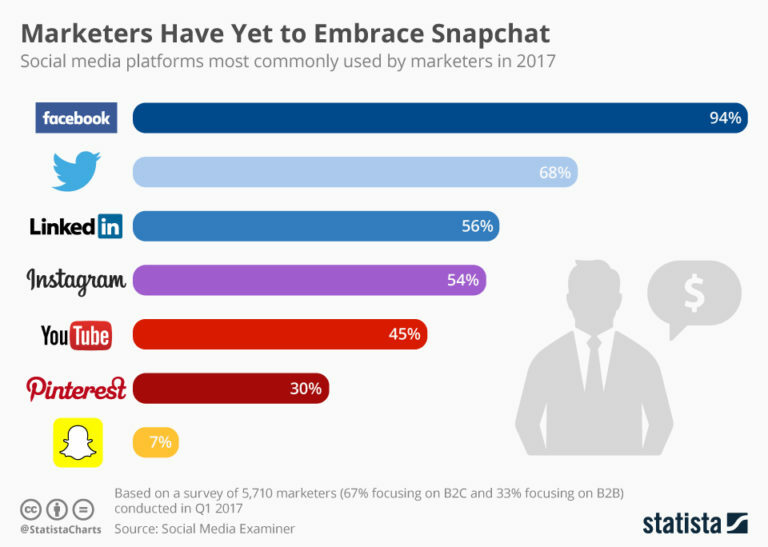 Facebook, Twitter, LinkedIn, YouTube and Instagram offer a variety of different options allowing businesses to establish outposts where their customers spend some of their time. Social media. Consists of platforms that allow individuals and businesses to engage and interact with their family, friends and social connections. These platforms provide the tools to extend engagement and sharing, particularly on a many-to-many basis. Online forums. Tend to be older forms of public community and communication. These forums allow people to interact asynchronously. Online webinars and conferences. Provide one-to-many information sources and reduce the friction associated with attendance at live events. Online tools for offline activities. (Includes Meetup and Evite.) Support group activities offline from conferences and webinars to small parties. To enter the consideration set, provide prospects, customers and their purchase influencers with the 5 basic types of content customers actively seek. Offer this content at the point during the purchase process when prospects need it most. As connected devices evolve and consumers change how they research and purchase, digital marketing commerce meets their needs. Website. Provides product information and purchase ability. Optimize your website for a mobile-first audience. Email. Motivates shoppers to purchase with special deals. Search (including voice). Allows shoppers to easily find you (and your competitors.) Consumers often use their smartphone’s voice commands including mapping options. Apps. Dominate mobile usage. At a minimum appear major apps like social media, review sites and maps. Social media. Provides different options including sales depending on the network in. Include Pinterest. Review sites. (Most notably Amazon) Allow members to rate and provide comments about products and services. They’re only loosely communities. 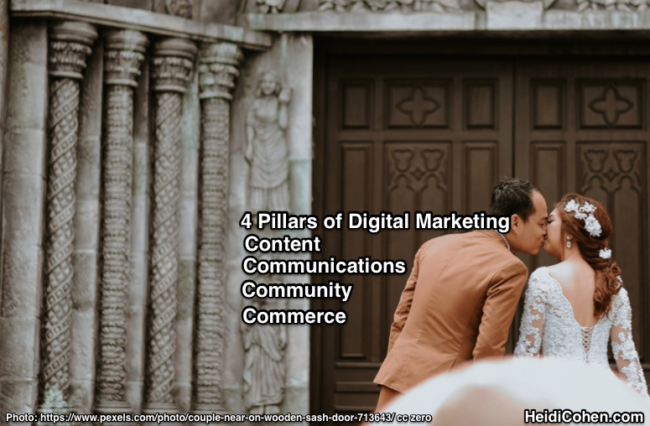 The four pillars of digital marketing are content, communications, community and commerce. Used together these four elements enable you to develop relationships with a community interested in your business. Increasingly these four pillars of digital marketing enable your message to break through because you’ve transformed your marketing into desired information that you have permission to deliver. Here are some related articles that you might find of interest. Editor’s note: This post was originally published in May, 2011. It has been extensively revised and updated. Tags Commerce, Communication, Community, content, Digital Marketing, Email, Rebecca Lieb, Social Media. Bookmark the permalink. I use the exact four elements or “Cs” as I call them to break down digital media, too. I actually think there are a few more pillars. With yours above, I also speak about Collaboration, Campaigns, and Context/Connection. Collaboration is typical partnering third party websites, apps, etc where shared content and communication between different but related audiences might have an impact. Campaigns take collaborations a step further and is a wrapper for most of the other C elements. Context/Connection is what the audience’s impression will be or how it’s relates to them. You could separate the terms but I think they are close enough in connotation to just refer to them together for explanation purposes. Sometimes I even forgot about this one! This post is fantastic. For someone new to digital marketing, it will be extraordinarily helpful and a great resource. For someone who has been around for a bit, the truth of the wisdom you present here is apparent. Excellent, excellent post. Really like this post: broke down a labyrinth of a subject into nice digestible chunks! It baffles me when I see people trying to forge success by isolating just one of these pillars; they work in tandem with one another.